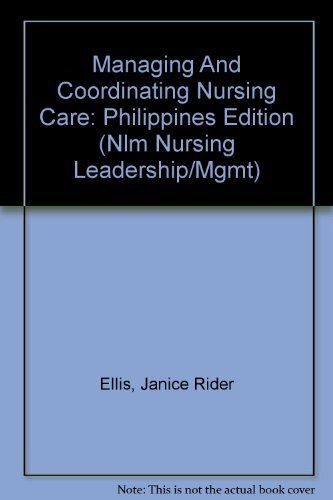 9780781774109 | 5th edition (Lippincott Williams & Wilkins, December 1, 2008), cover price $77.99 | About this edition: Now in its Fifth Edition, this text is designed to teach nursing students to apply effective decision-making, leadership, delegation, prioritization, and patient management skills to real-world practice situations. 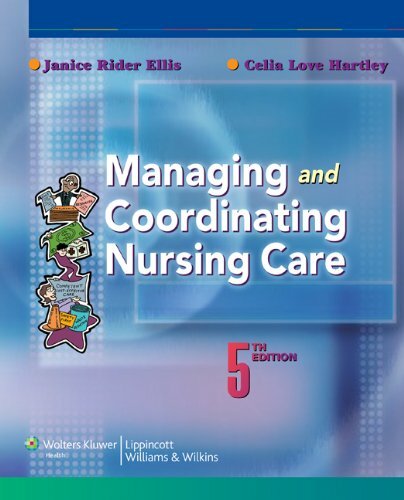 9780781741064 | 4th edition (Lippincott Williams & Wilkins, September 14, 2004), cover price $51.95 | About this edition: This text is designed to teach nursing students to apply effective decision-making, leadership, delegation, prioritization, and patient management skills to real-world practice situations. 9780781717571 | 3 sub edition (Lippincott Williams & Wilkins, October 1, 1999), cover price $41.95 | About this edition: Designed to teach students to apply effective decision-making, budgeting, and general patient management skills to real-world practice situations, this hands-on text uses a direct approach to this fundamental area of nursing practice. 9780397551163 | 2 sub edition (Lippincott Williams & Wilkins, March 1, 1995), cover price $29.95 | About this edition: Management pressures are not restricted to big business. 9780397551712 | 6 edition (Lippincott Williams & Wilkins, April 1, 1996), cover price $45.95 | About this edition: This is the first volume of a comprehensive two-volume skills and procedures text comprised of fifty-eight self-contained modules. 9780397551705 | 6 edition (Lippincott Williams & Wilkins, April 1, 1996), cover price $45.95 | About this edition: This is the second volume of a comprehensive two-volume skills and procedures text comprised of fifty-eight self-contained modules. 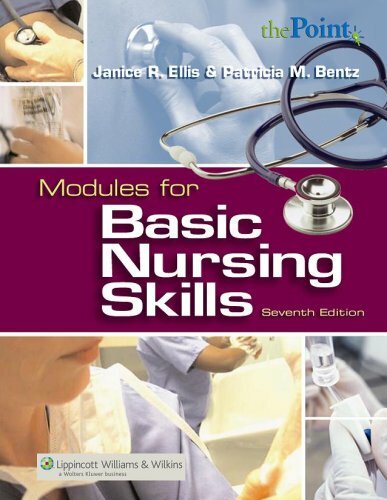 9780397549085 | 5th edition (Lippincott Williams & Wilkins, January 1, 1992), cover price $31.50 | also contains Price of Privilege | About this edition: This is the first volume of two which provide an introduction to all basic nursing skills and procedures. 9780397549092 | Lippincott Williams & Wilkins, January 1, 1992, cover price $31.50 | About this edition: This is the second volume of two which provide an introduction to all basic nursing skills and procedures. 9780781724555 | 7th edition (Lippincott Williams & Wilkins, November 1, 2000), cover price $37.95 | About this edition: Shoreline Community College, Seattle, WA. 9780397554287 | 6th edition (Lippincott Williams & Wilkins, November 1, 1997), cover price $29.95 | also contains This Is Your Do-Over: The 7 Secrets to Losing Weight, Living Longer, and Getting a Second Chance at the Life You Want, This Is Your Do-Over: The 7 Secrets to Losing Weight, Living Longer, and Getting a Second Chance at the Life You Want | About this edition: . 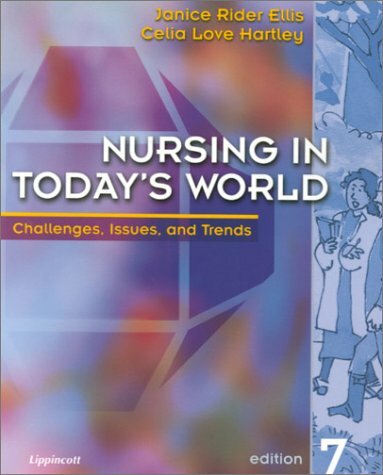 9780397551774, titled "Nursing in Today's World: Challenges, Issues, and Trends" | 5th edition (Lippincott Williams & Wilkins, January 1, 1995), cover price $28.00 | About this edition: This widely used book for issues and trends courses is designed to prepare nurses for the transition from the educational setting to actual practice. 9781605477077 | 10 pap/psc edition (Lippincott Williams & Wilkins, September 8, 2011), cover price $77.99 | About this edition: This popular, readable text presents the basic concepts underlying professional nursing and seeks to prepare students for the realities of contemporary issues affecting the profession and overall delivery of health care. 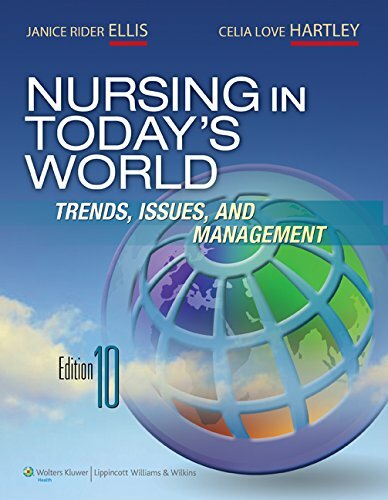 9780781765251, titled "Nursing in Today's World: Trends, Issues & Management" | 9 edition (Lippincott Williams & Wilkins, October 1, 2007), cover price $59.95 | About this edition: The AJN Book of the Year award-winning textbook, Nursing in Today's World, is now in its thoroughly revised, updated Ninth Edition. 9780781741088 | 8 edition (Lippincott Williams & Wilkins, July 1, 2003), cover price $47.95 | About this edition: This vibrant full-color issues and trends text presents basic concepts underlying professional nursing along with contemporary issues affecting the profession, including educational preparation, health care finance, legal responsibilities, and ethics/bioethics.